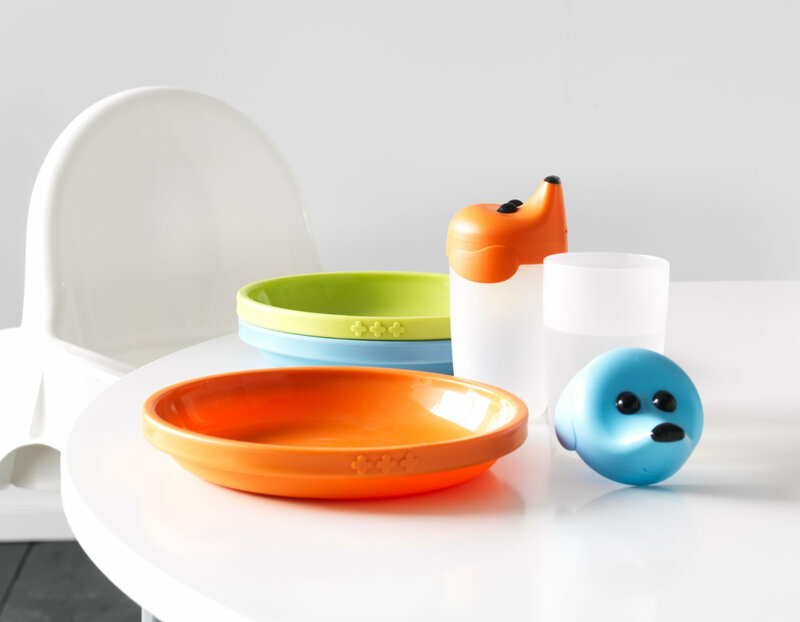 SMASKA TRAINING BEAKER is a plastic glass with a lid, designed to help small children to go from drinking from a baby bottle to using a glass. children are automatically drawn to objects with eyes and so the doggy face is appealing to them. 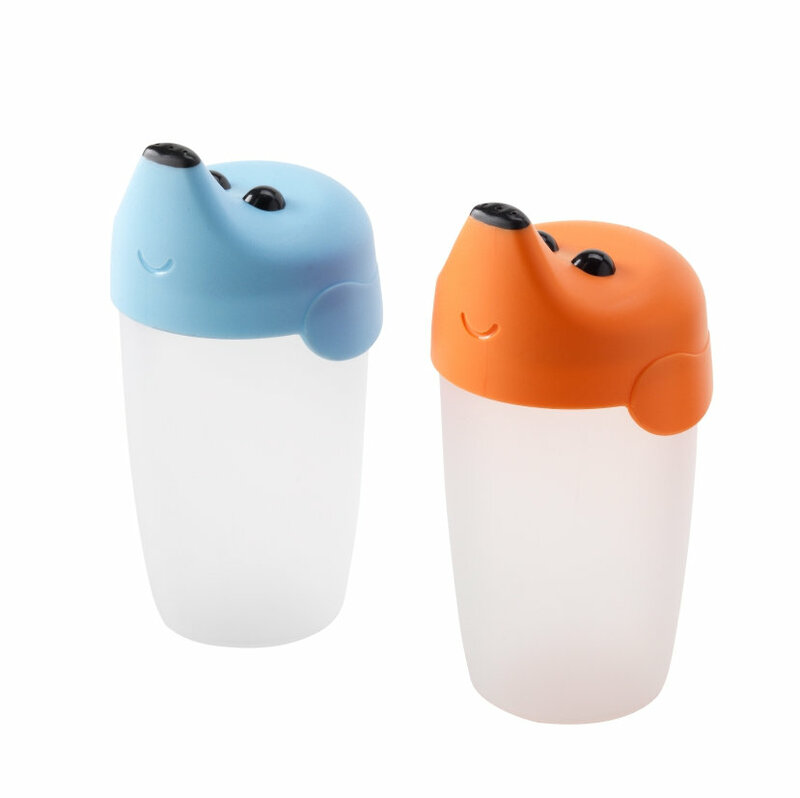 The lid is formed with room for a child's nose so it is comfortable to drink from, without leaning the head back. 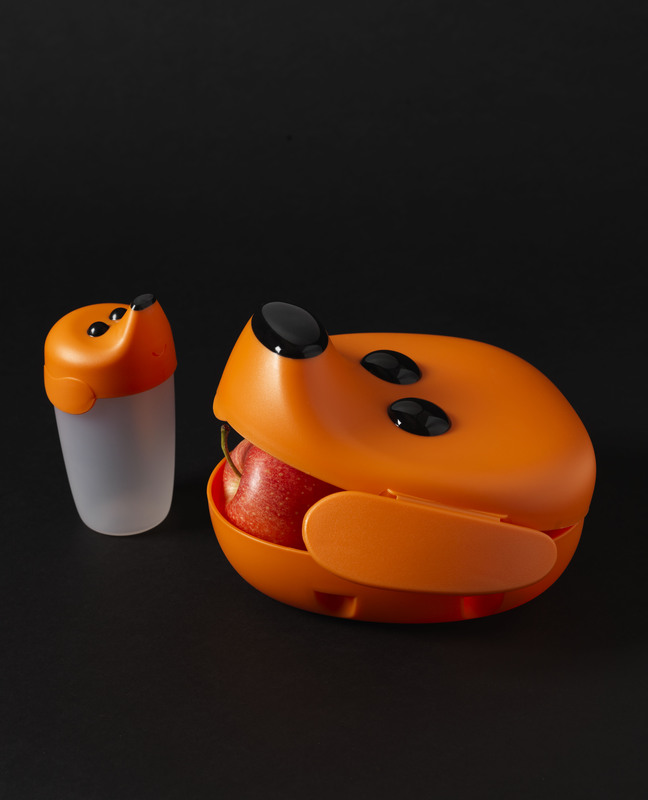 SMASKA is a lunchbox made of hard plastic that protects solid food like sandwiches, fruit and snacks.